Cruising ready. 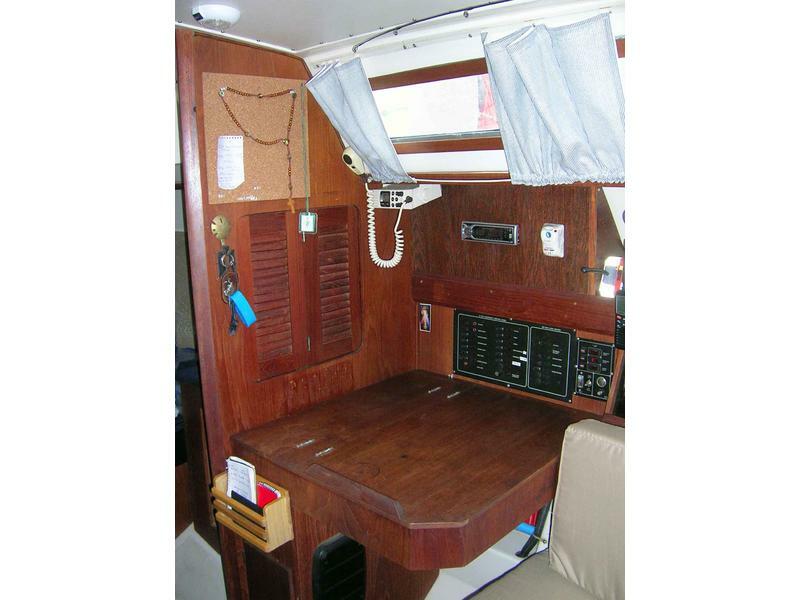 Live-aboard today. Great condition! Boat is currently in the water in Charleston. Recent haul-out and bottom paint June 2011. 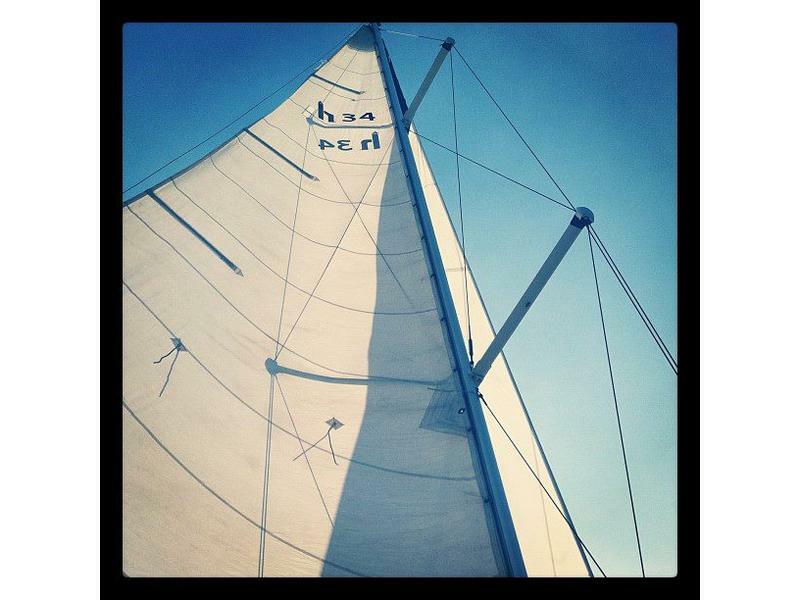 Sails and motors great. 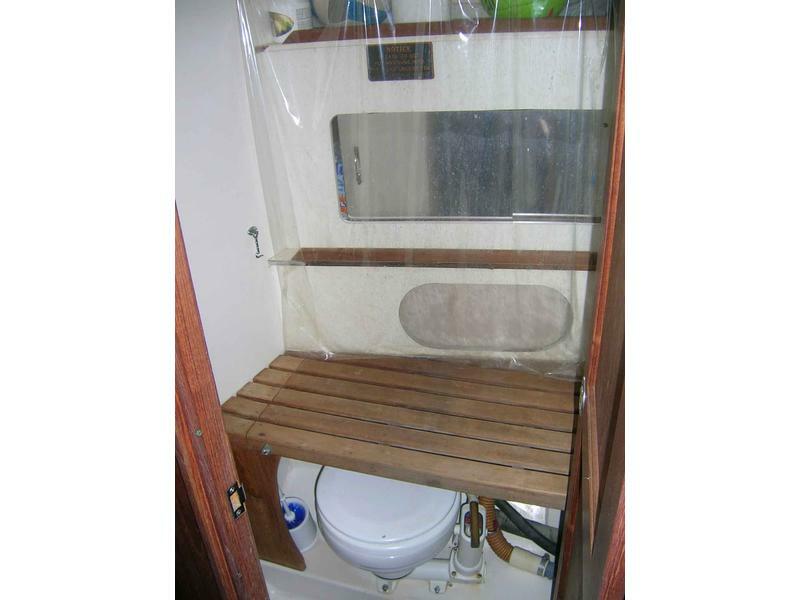 Comes with dinghy and 8hp outboard! Currently docked in Charleston, SC. 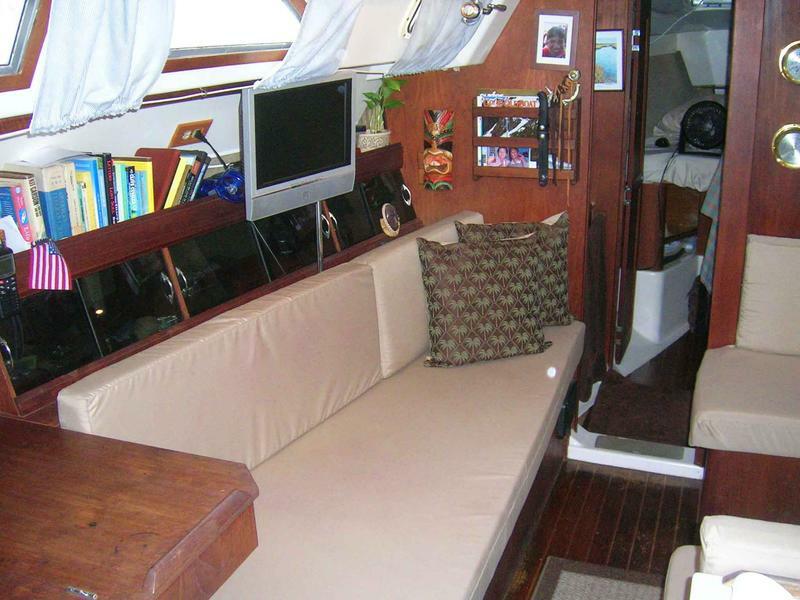 This boat is perfect for living aboard, day sailing, coastal cruising, and weekend trips. 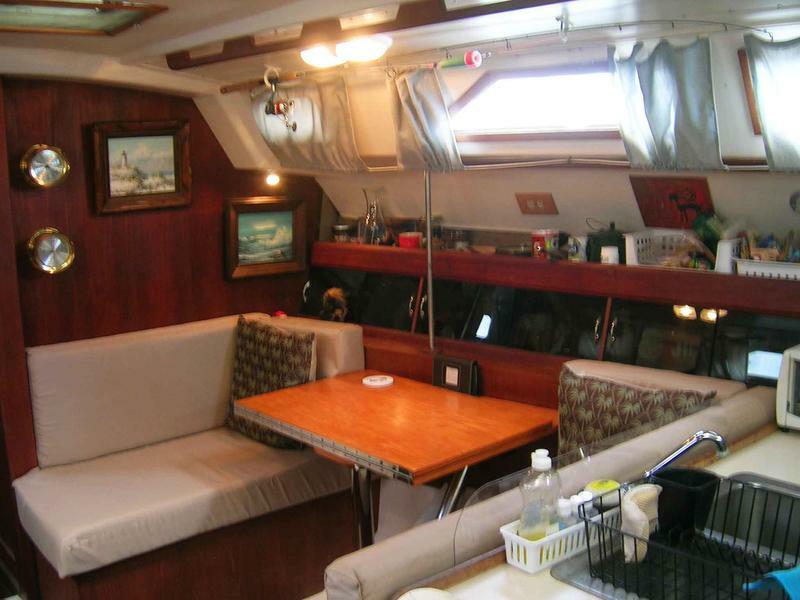 The boat is 34′ long and 11.5′ beam making her very comfortable inside the cabin. She has all the extras making her a comfortable sailor. 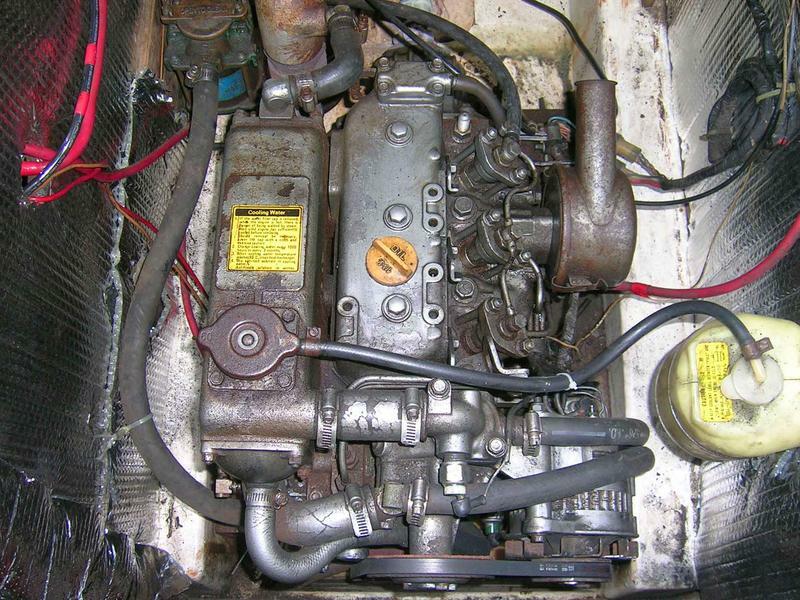 The boat was previously located in a freshwater lake for 7 years, adding a lot of life to the engine and boat. 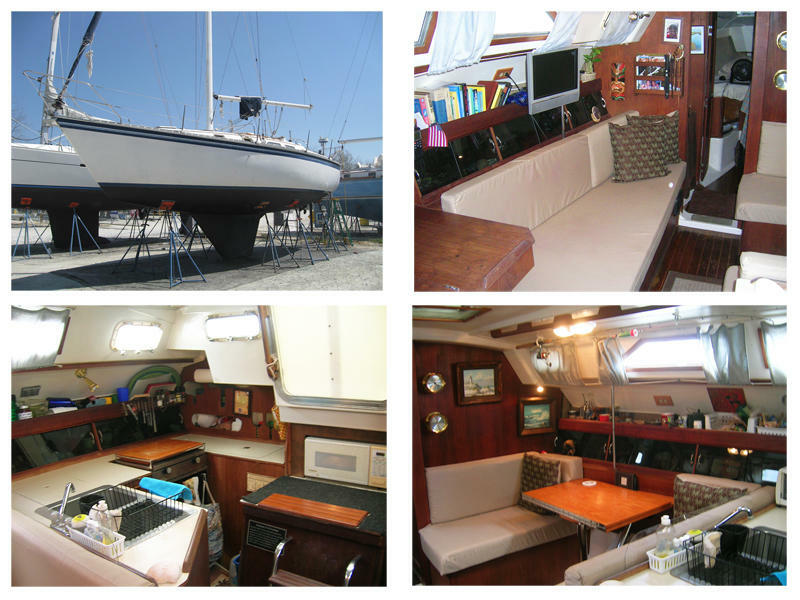 I’ve been living aboard for a year and a half, not only maintaining, but making her better! 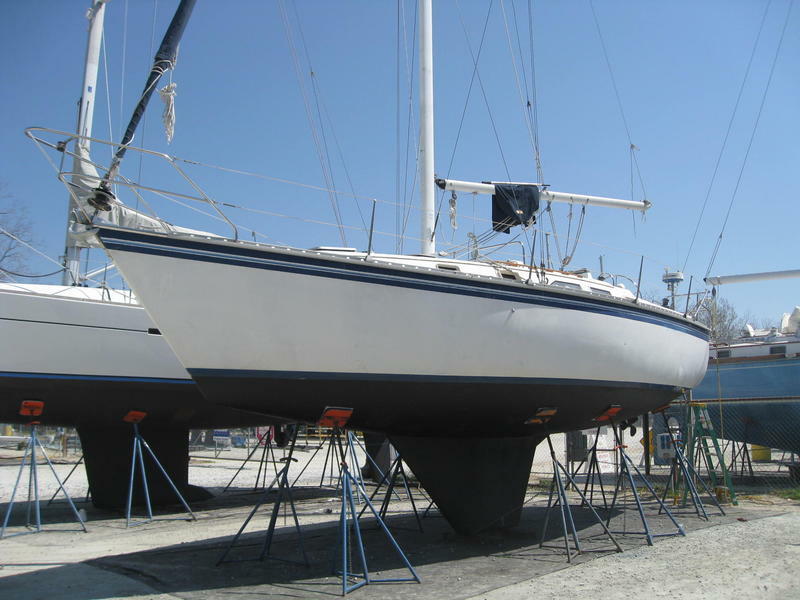 I’ve just returned from sailing to south Florida. Offshore and intracostal, she handled beautifully! Lots of upgrades, many less than a year old. Email for more info, pictures, and an appointment to look at her. Professionally maintained. Great fuel mileage (approx 1gal/hr full throttle). 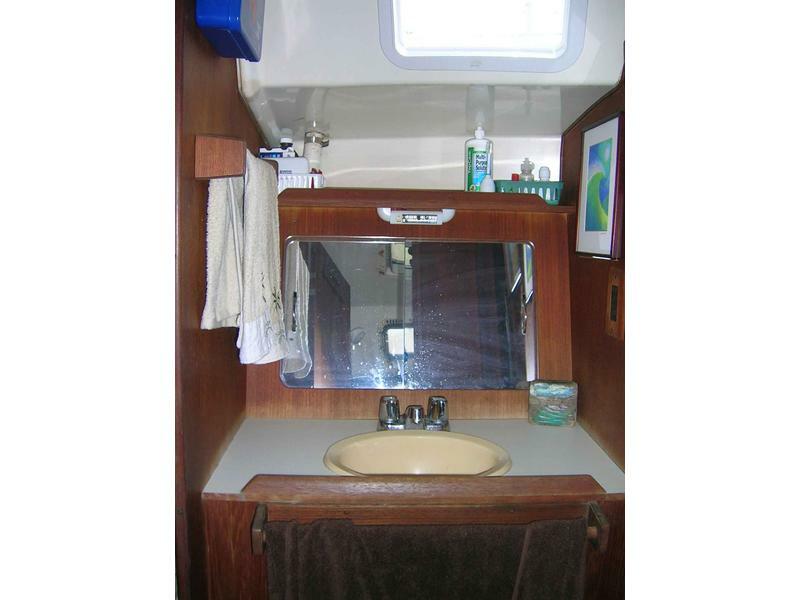 Very well maintained, 6â headroom, double berth cabin aft w/ teak privacy doors, galley with dinette on starboard side and nav station and settee to port, head forward starboard, vanity sink port side, large V-berth, closet and clothing drawer space. Custom Mahogany trim around fixed ports. House and Cranking battery connected to selector switch. 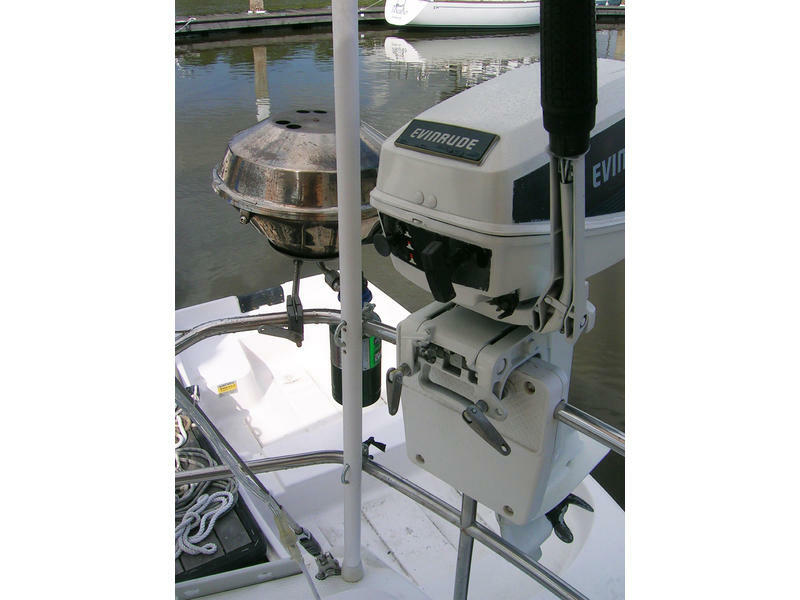 Both charge with engine alternator and shore power. 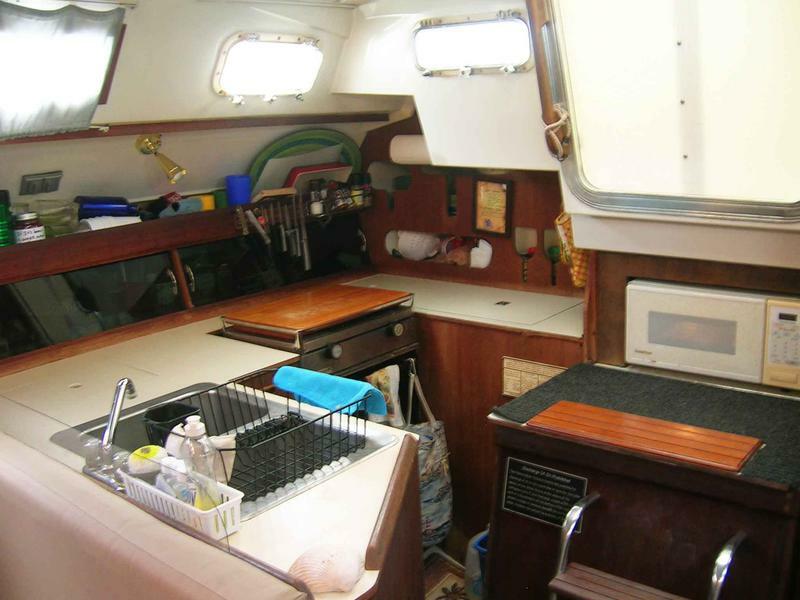 House Battery: Rolls Marine Battery, purchased in May 2011, run all the electronics you need w/out starting the engine for days! 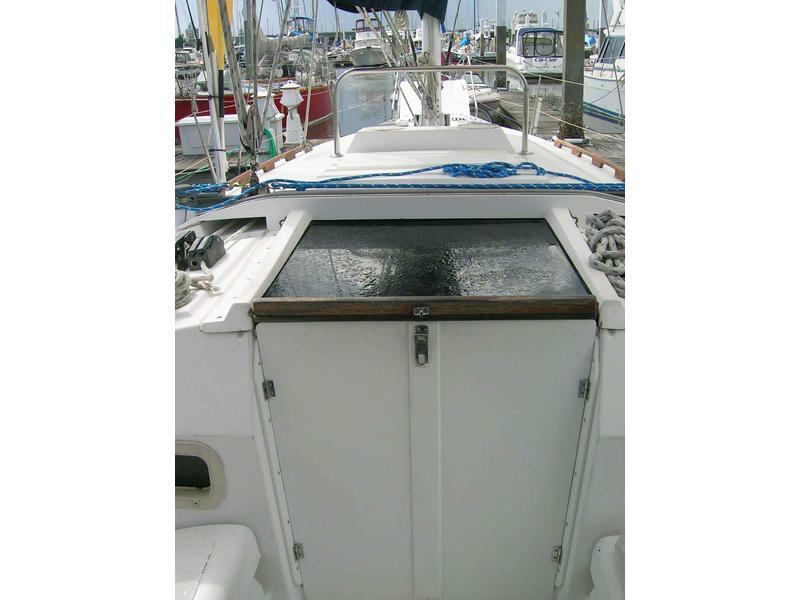 Removable A/C unit keeps cabin cool all summer! All lines running aft. Single-hand from the cockpit! Engine serviced in May 2012. Runs excellent!